These are the actors who appeared in Sam Millar’s new play “Brothers In Arms” at the Craic Theatre last night. (L-R) Tony Devlin, Helena Bereen, BJ Hogg and Jimmy Doran. They played to a full house last night and I know that actors can be a bit disingenuous when they say that they “love” playing at our theatre but in this case I do believe they mean it. 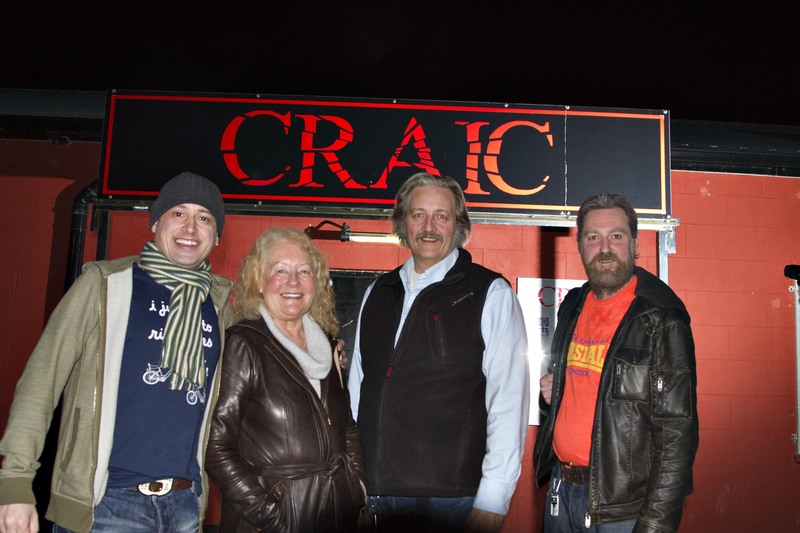 I’ve known and worked with both Tony and Jimmy for many years and both have appeared many times at Craic. Indeed Tony will be back with his own show “1981” on March 21st. I congratulated Helena on her appearance recently in the Oscar winning Terry George film “The Shore” and it was only today that I realised that BJ Hogg had also appeared in an Oscar nominated film “Dance Lexie Dance” a few years ago.